Most marketing experts agree: The benefits of the brand's daring anniversary campaign featuring Colin Kaepernick outweigh the stench of burning sneakers. Nike vs. Trump: At the risk of stretching sports metaphors too far, it’s a heavyweight fight of two brands with rabid followings, writes Richard Gillis for PRWeek U.K. Nike’s campaign "blurs the line between the political and the commercial in a way that makes the marketing industry sigh with a mix of adoration and envy," he observes. Speaking of the president… "I think as far as sending a message, I think it’s a terrible message and a message that shouldn’t be sent. There’s no reason for it," President Donald Trump told the Daily Caller. Also: "Nike is a tenant of mine. They pay a lot of rent." By the numbers: $43 million -- that’s the amount of media exposure Nike received in the days after the campaign’s launch, according to Apex Marketing Group. 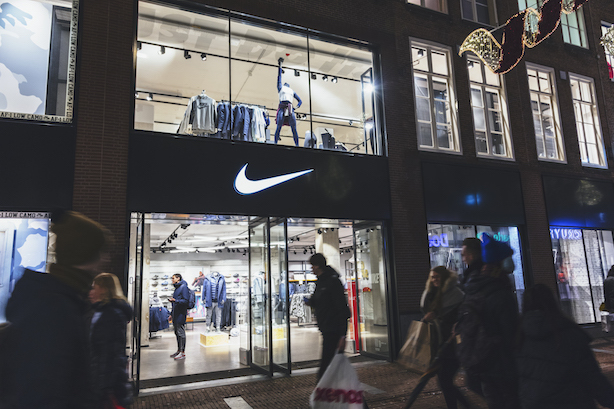 Another number worth watching is 3.2%, the drop in Nike’s share price on Tuesday. Bob Dorfman of Baker Street Advertising says the payoff outweighs the risk for Nike, telling Bloomberg, "It’s not a move any company can make, but for Nike it’s definitely smart business." Plus these demographic numbers: Nearly two in three U.S customers of Nike are under 35 years old, and that subset is more racially diverse than the population at large, NPD Group’s Matt Powell tells The New York Times. "I think Nike went into this absolutely knowing what they were doing, with the intention that some people would be offended," he says. Not everyone is happy -- smell the burning shoes? -- but for the NFL, it’s just kind of awkward. The league, which kicks off its 2018 season on Thursday night, is locked into its apparel deal with Nike for another decade, and it still hasn’t figured out its national anthem policy. Its 32 owners are also being sued by Kaepernick, who claims they have colluded to keep him off a roster since 2016. Here’s its statement: "The National Football League believes in dialogue, understanding, and unity. We embrace the role and responsibility of everyone involved with this game to promote meaningful, positive change in our communities. The social justice issues that Colin and other professional athletes have raised deserve our attention and action." Other things are happening in the world: What to watch at the Kavanaugh hearings and as Facebook and Twitter executives testify on Capitol Hill; Trump team pushes back against Woodward, but the veteran journalist has tapes; Theranos, somehow still a company, to dissolve; Left-leaning challenger upsets 10-term incumbent in Massachusetts House primary; Quit digging, Elon Musk; American Film Institute names Juli Goodwin as chief communications officer.